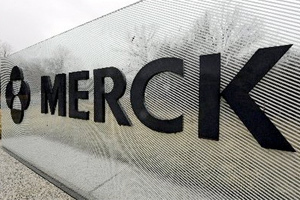 Merck & Co has abandoned the phase III trial of its BACE1 inhibitor verubecestat in Alzheimer’s in what could be an ominous signal for Eli Lilly/AstraZeneca and Biogen/Eisai. The APECS study of verubecestat (MK-8931) has been terminated one the advice of the trial’s data monitoring committee, which concluded that the drug was unlikely to show a “positive risk/benefit” ratio if it continued to its planned conclusion in 2019. The failure casts a shadow on other trials of BACE inhibitors, including Biogen and Eisai’s elenbecestat (E2609), Eli Lilly’s LY3202626 and AZ-partnered lanabecestat, which are also in mid- to late-stage testing in Alzheimer’s, as well as other candidates from the likes of Novartis and Amgen in earlier development. Verubecestat has already chalked up one failed study in mild-to-moderate Alzheimer’s, but what makes this latest setback so unnerving is that the study recruited patients with so-called ‘prodromal’ disease - in other words they were in the very first stages of cognitive impairment. There have been dozens of amyloid-targeting drugs that failed to meet the mark in testing, but researchers have plugged on in the hope that using them at ever-earlier stages of the disease could be the key to showing a benefit. That hypothesis has now taken a severe and potentially terminal knock and bodes ill for the other BACE inhibitors like elenbecestat and LY3202626 which are still in testing for prodromal Alzheimer’s disease. BACE inhibitors are designed to block the formation of the amyloid plaques that characterise the disease, unlike earlier antibody drugs such as Lilly’s solanezumab and Pfizer’s bapineuzumab which attempted to break down and remove established plaques. Inhibiting BACE can have a number of other unwanted effects, and it’s not clear from Merck’s statement whether a lack of efficacy or tolerability issues, or a combination of the two, were behind the decision. More will be revealed no doubt when the APECS data is presented at a future medical conference. If the other BACE inhibitors follow the same path the next big test of the amyloid hypothesis will come when Biogen and Eisai report data from two trials of their aducanumab candidate, which works in a slightly different way to solanezumab, in around 2020. Merck Research Laboratories president Roger Perlmutter said the company is "disappointed with this outcome, especially given the lack of treatment options for patients suffering from Alzheimer's disease." Meanwhile, verubecestat’s demise follows a series of recent casualties in the Alzheimer’s pipeline. Since the start of the year, Boehringer Ingelheim has stopped development of its PDE9a inhibitor BI 4093906, Takeda and Zinfandel abandoned efforts to repurpose diabetes drug pioglitazone for the disease, and Axovant Sciences dropped its 5-HT6 receptor antagonist intepirdine.